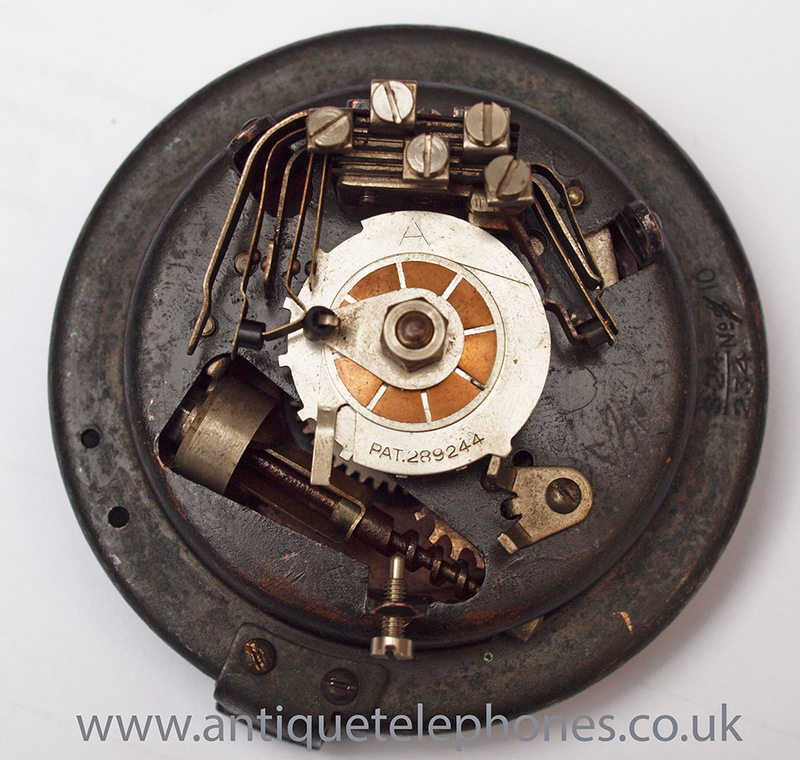 GPO No10 dial with solid copper finger wheel. 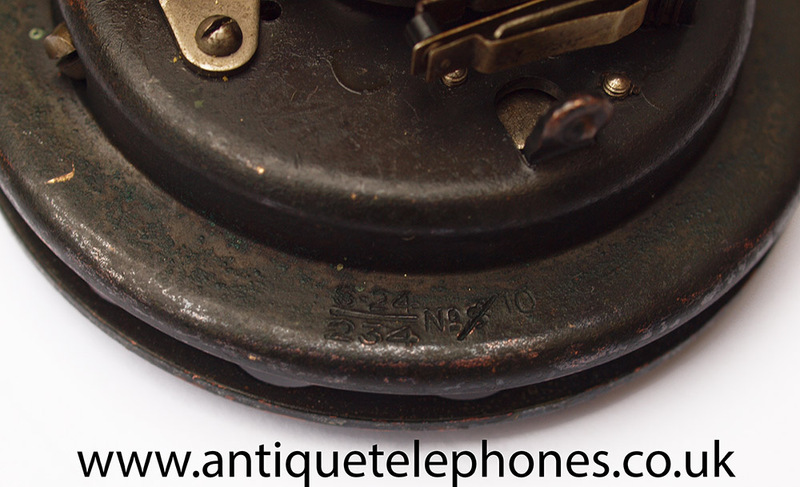 << Back GPO No10 dial with solid copper finger wheel. 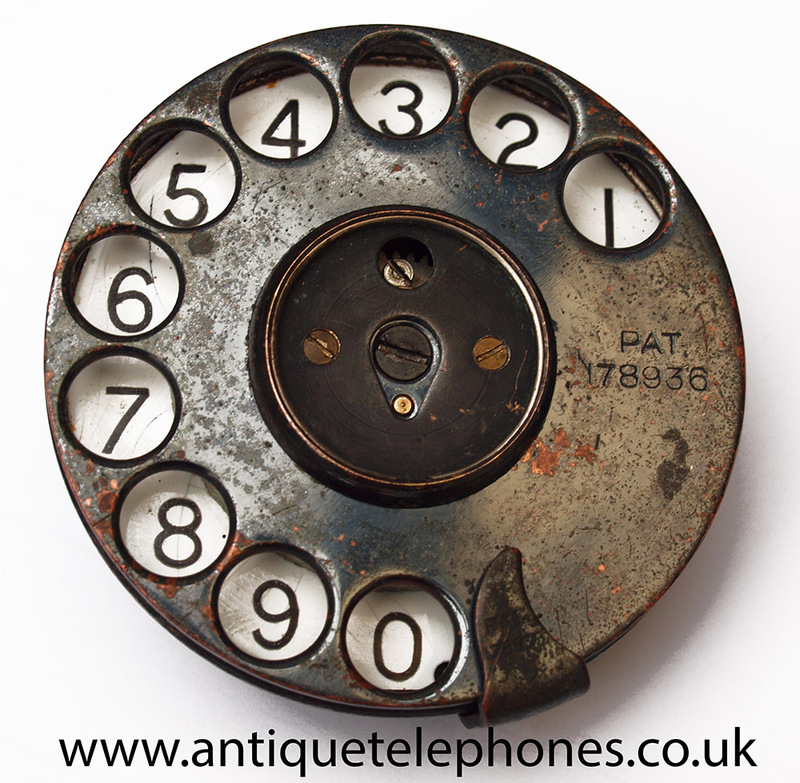 This is a great dial marked 1924. This was originally manufactured as a GPO No8. 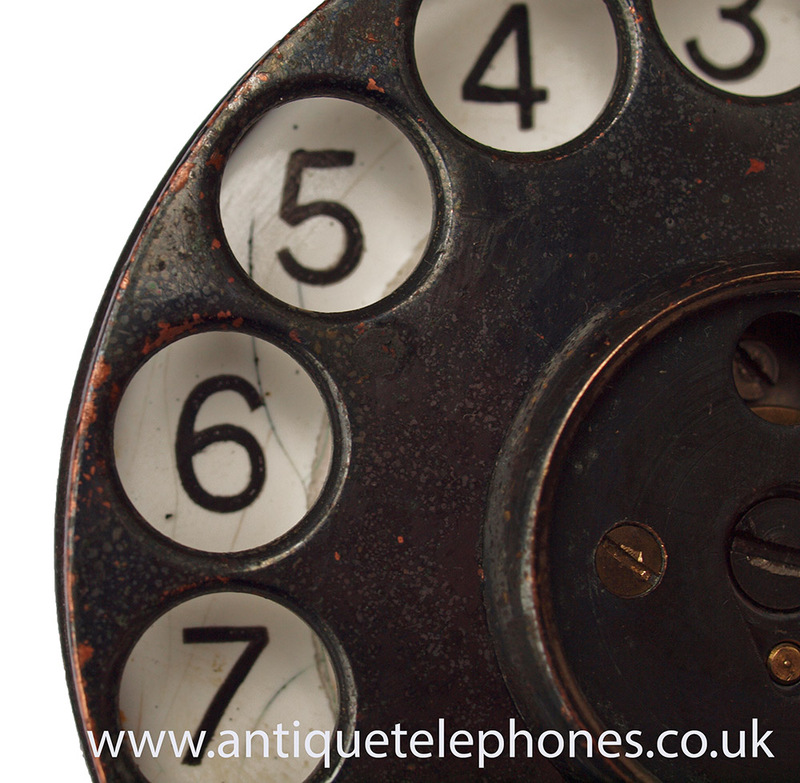 The No8 dial only had four terminals and is now extremely rare and was only manufactured for around 6 Months. The GPO had made a large stock and so they were all modified to the No10 before they were issued as this was. A lovely honest dial with solid copper finger wheel and small dial holder and still has the dial label clip which is very hard to find. It rotates and returns perfectly and the contacts work as they should.